I found this documentary very well done and is definitely worth watching. 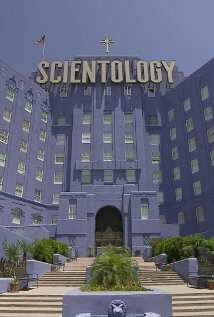 The film basically reveals how the misuse of knowledge can be so dangerous and destructive that a person’s idea could go horribly wrong for decades, not only had it evolved into an absurd belief system, but also had the power to draw vulnerable individuals into joining such a secretive organisation which could potentially have their lives destroyed. If you are wondering why the US government would recognize this cult as a tax-exempt religious organisation, and if you are wondering how any rational, intelligent person of sound mind would let him/herself get into this form of insanity, this is the film for you, though some details and stories could be disturbing, it at the time would give you an eye-opening look into the concept of religion, it would make you reflect upon your own religious beliefs, and how knowledge and faith are to be carefully and rationally utilised. This entry was posted in Think, Watch. Bookmark the permalink.